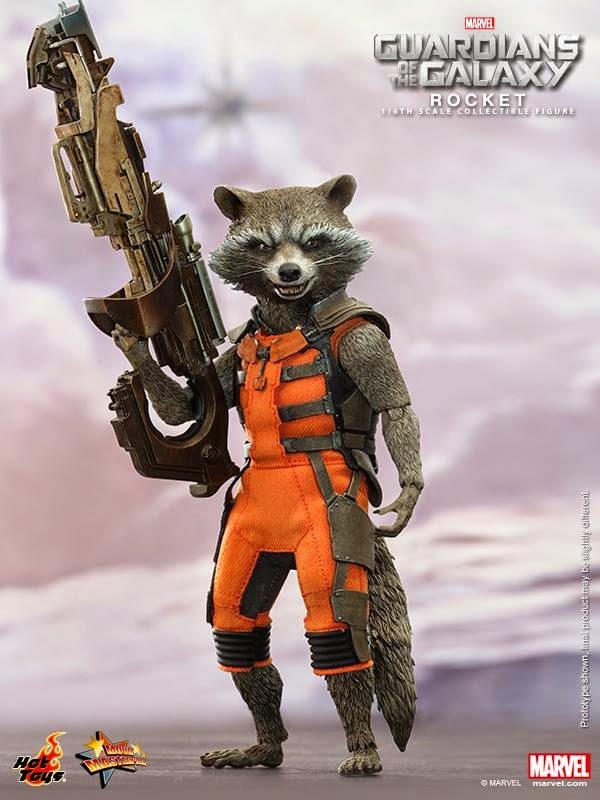 After watching Marvel's Guardians of the Galaxy twice now, we are struggling to say who our favorite character is from the Guardians of the Galaxy. What an amazing movie we enjoyed from beginning to end. 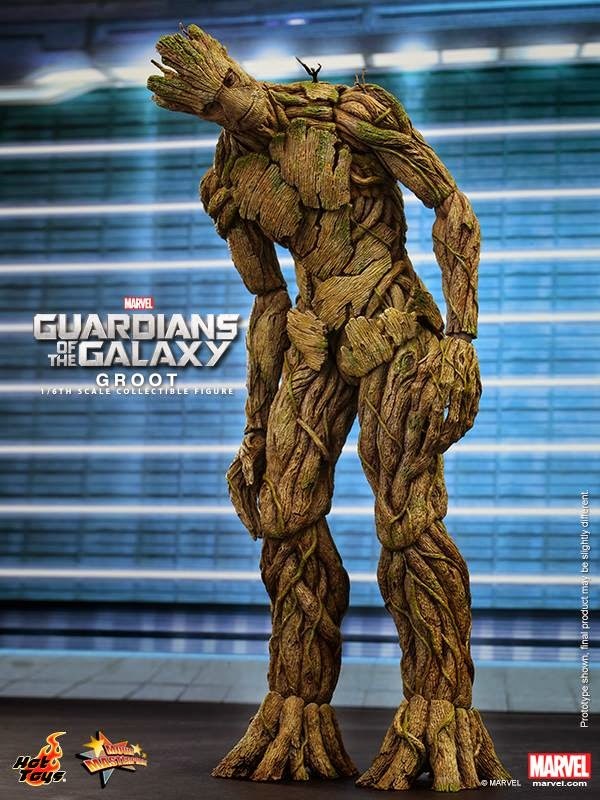 Growing up to the original trilogy of Star Wars and being my favorite movies of all time, I would have to say Guardians of the Galaxy brought back some great memories. The movie was filled with action, humor, aliens, great space battles scenes, and heroes. 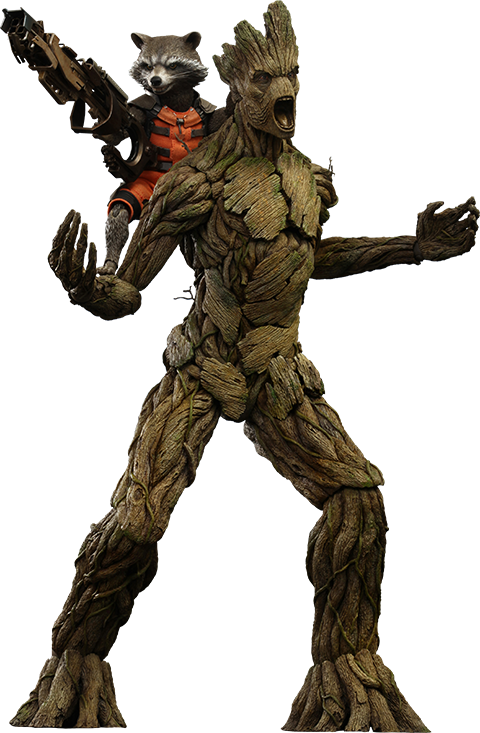 Two characters that I feel were the best were Rocket and Groot who created a perfect team. 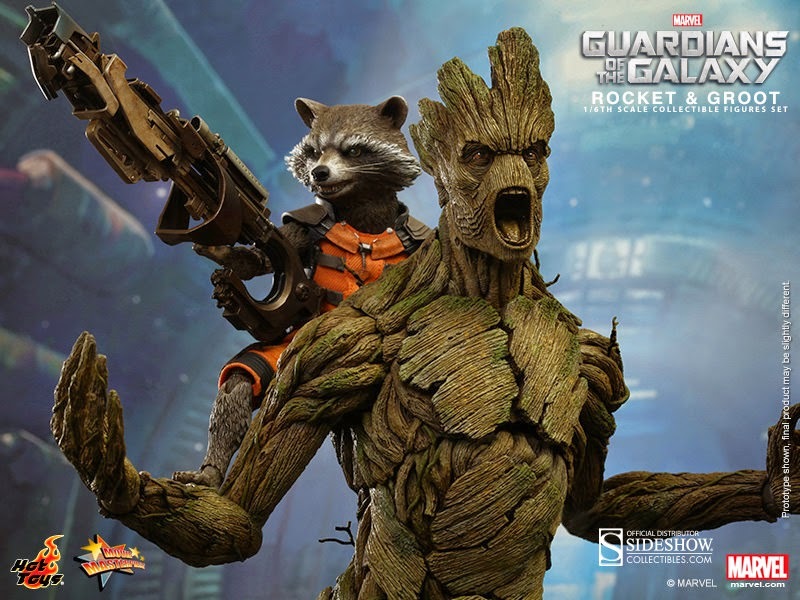 Hot Toys is definitely showing us why this duo is perfect together by creating a collectible figure set. 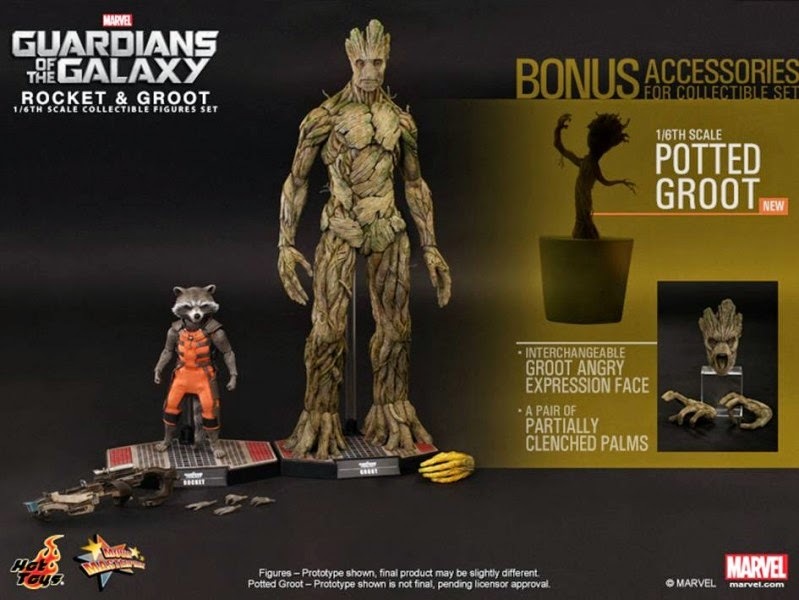 Hot Toys Marvel's Guardians of the Galaxy Rocket and Groot Collectible Set is now available for pre-order and just added, it will include Potted Dancing Groot!